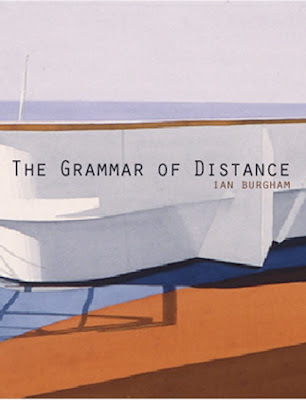 Ian’s next poetry collection, The Grammar of Distance, is forthcoming spring 2010. Ian Burgham is an associate of the League of Canadian Poets. Born in New Zealand, raised in Canada, he has lived and worked for extended periods of time in both New Zealand and Scotland. He studied literature at Queen’s University and at the University of Edinburgh. He worked as an editor for Canongate Publishing and later became publisher of Macdonald Publishing in Edinburgh. He has previously published two collections of poetry, A Confession of Birds, a chapbook published in the UK in 2004, and The Stone Skippers, published in 2007 by Tightrope Books and nominated for the 2008 Relit Award. He currently divides his time between Toronto and Kingston. In 2004-5 Burgham won the Queen’s University “Well-Versed” Poetry Award. His work has been published in many Canadian literary journals including Prairie Fire, Contemporary Verse 2 (CV2), The New Quarterly, The Literary Review of Canada, Queen’s Quarterly, dANDelion, Harpweaver, Precipice, Jones Avenue, andAscent Aspirations.